If you want to live near the most popular street in Barcelona, apartments in El Raval area of Barcelona are the right choice for you. El Raval makes up a large part of Ciutat Vella, Barcelona's Old Town. 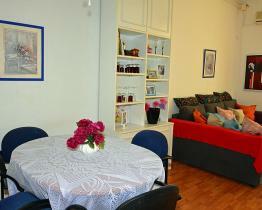 It is an exciting area for the seasoned traveler who appreciates multicultural encounters. 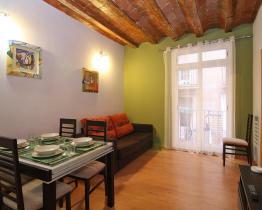 The area stretches from Barcelona´s University down to the water and is a pleasant walking distance from Barceloneta Beach. 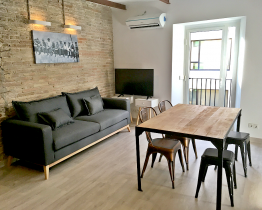 El Raval is also just steps away from Las Ramblas which makes the area attractive to tourists and to those who seek to experience the city's vibrant nightlife. 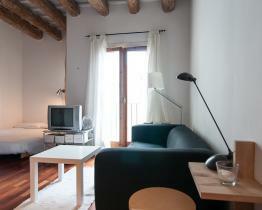 In El Raval, you will find buildings from almost every era of Barcelona´s architectural history. 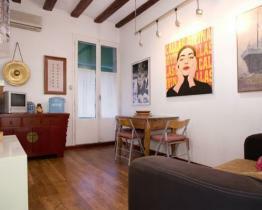 Moreover, the area is filled with quaint cafes and cultural must-do's, such as the MACBA, the Museum of Contemporary Art. 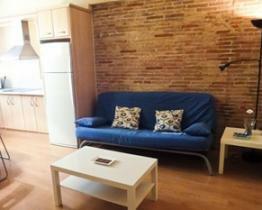 During the day, Raval is perfect for long walks with your friends or your partner. However, at the night is interesting too. Barcelona is the city where the nightlife is so good developed that you can also reach a lot of pubs and cafes that work at night, and the streets are the same crowded. The region has the metro stations: Sant Antoni, Drassanes Apartments, Paral·lel, and Plaça de Catalunya, and a lot of buses which connect it with the rest of the city parts. Also, it has a lot of main tourist attractions alongside. Its atmosphere, modern approach and gastronomic innovation make the district an interesting one to discover. 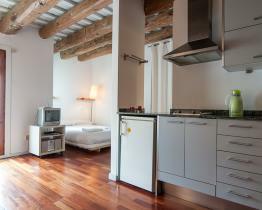 Examine the list of apartments in El Raval we have on our website. We also rent different kinds of other real estates: luxury houses, beautiful penthouses, studio, spacious apartments, or rooms in shared apartments. 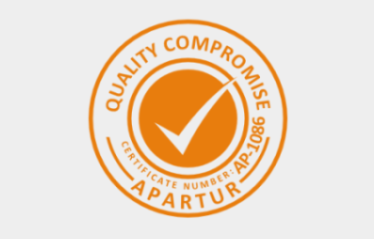 You can always contact us if you have any questions or if you need any advice. 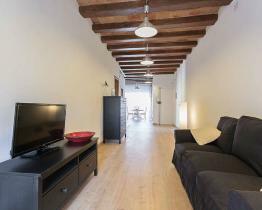 We can do your long or short term rent in El Raval apartments enjoyable and tension-free!